The Berkeley Arts Council (BAC) will hold an Information and Social open house in their Art Works gallery at 116 North Queen Street on Sunday, January 14, 2018 from 2-4 pm. The public is invited to meet local artists and the Board of Directors and to enjoy some light refreshments. 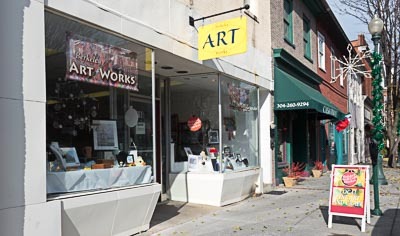 Information will be offered about the Arts Council’s plans and programs for the coming year, including opportunities for artists to exhibit their work. BAC wants to expand its art instruction program and is seeking teaching artists for adult and youth programs. Volunteers are welcome to help plan programs and events, and to assist with promotion and exhibits. Details and a chance to meet current members will be available on the 14th. New or renewing members can sign up at the open house. Online membership is also available at berkeleyartswv.org/join-us. This date is also the last day for delivering artwork for the BAC Annual Members’ Exhibit. 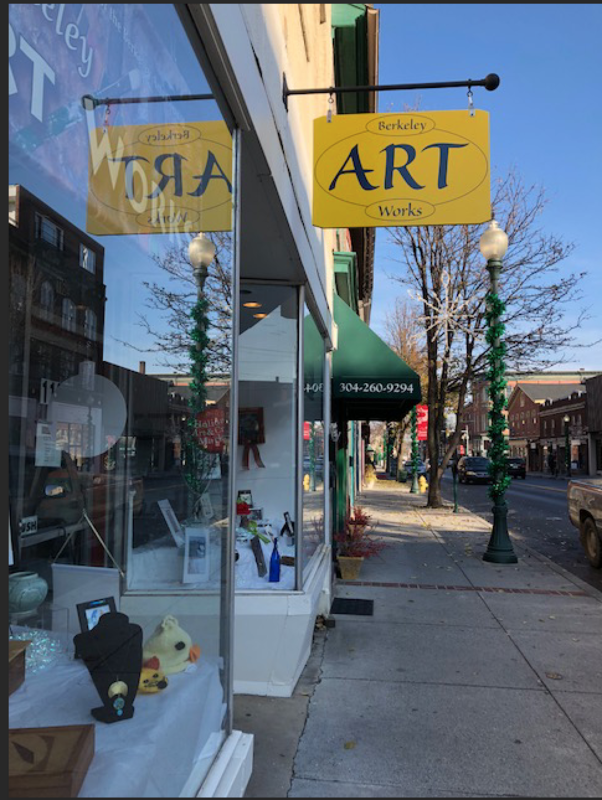 ART leads the way in downtown Martinsburg! Our new sign in front of the Berkeley Art Works will lead visitors to our gallery and the Holiday Market. We have the first installation of a sign as provided in the revised City sign ordnance. BAC worked through the steps from design, Main Street consultant’s visit, re-design, Historic Commission review (twice) and approval, building permit and finally installation. Tell your friends how to find us!